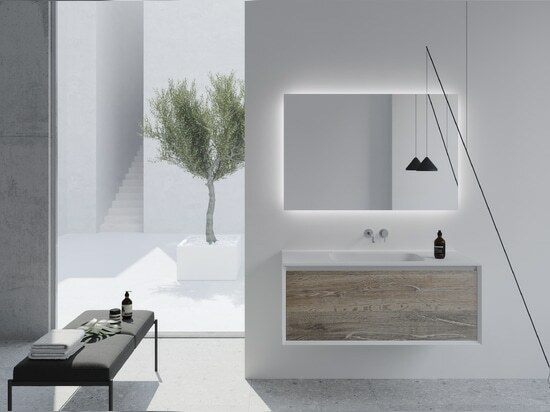 The puristic and modern designs offer a selection of individual compositions, innovative materials and exquisite natural woods. 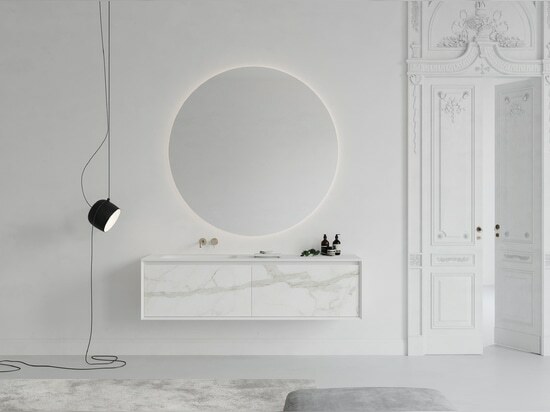 As they are produced in Northern Italian manufactories under strict quality controls, the collections fulfill the highest requirements for aesthetics and quality. The bath furniture selection with integrated wash basin solutions embody the flair of minimalism and purism while matching the brand's design language. 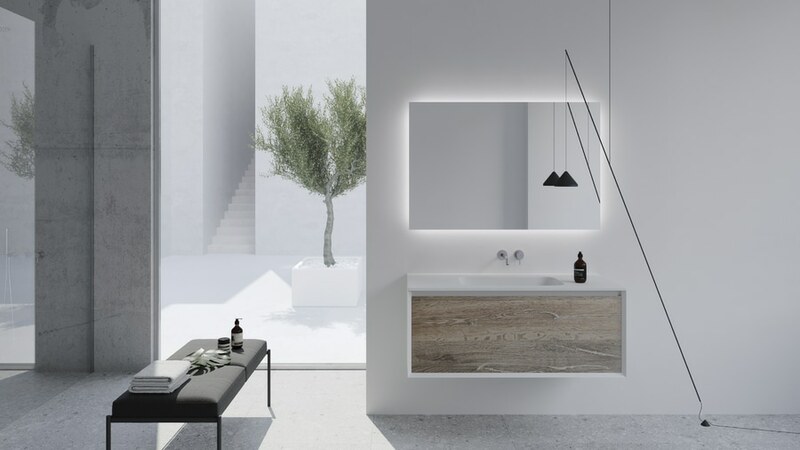 Both collections are available in different dimensions while great focus is placed on individualism: Bath owners can choose between various wash basin styles, base unit compositions and between a selection of matching bath accessories. 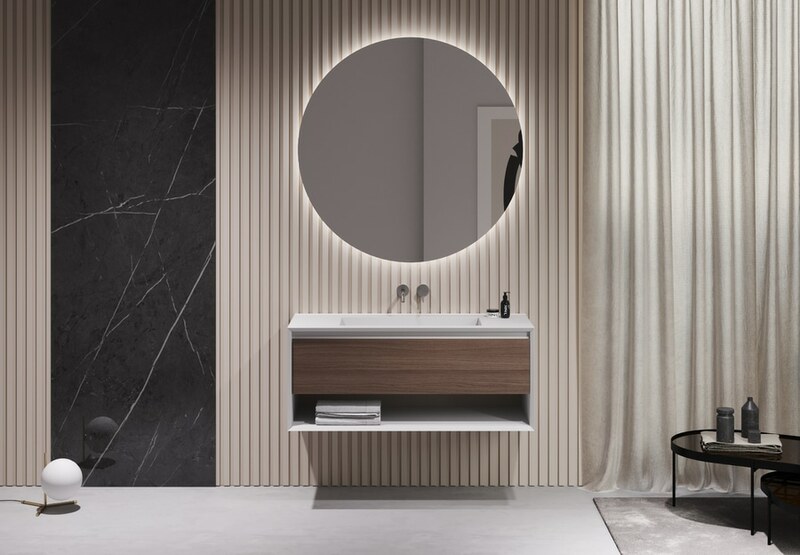 With ONE by VALLONE®, whose body is composed of the innovative material solution Fenix NTM®, the brand presents a technically advanced and highly qualitative collection. 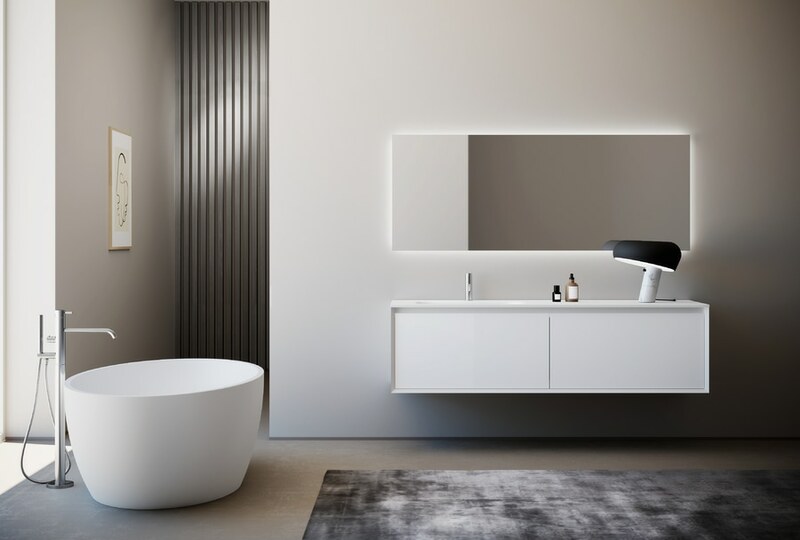 Its body is similar to the frame of an art piece inclined inwards at an angle of 45°, extends over all four sides and depending on the design integrates one or two stainless steel wash basins which are discreetly hidden under a removable drain plate. 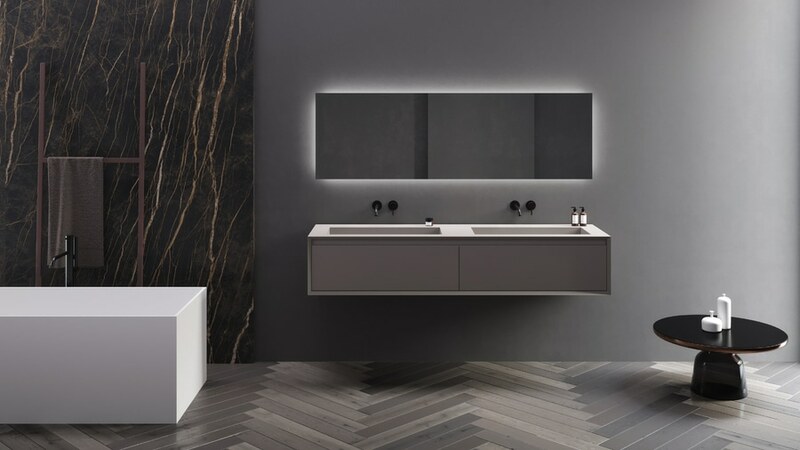 Within the interior design sector Fenix NTM® is considered as a new, future-oriented material as it differentiates itself with its scratch-resistant and robust, yet aesthetically appearance. 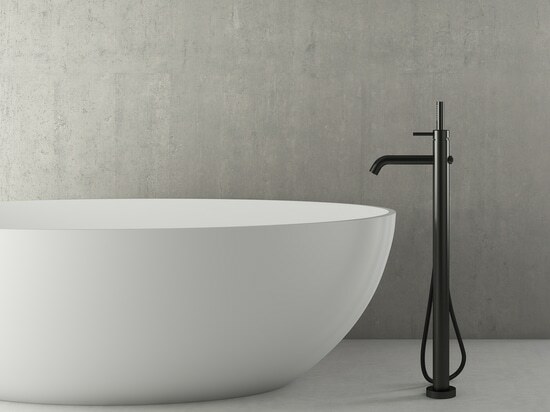 Furthermore, the water-resistant material is characterized by its resistance against bacteria, dirt and dry heat. Its opaque surface results from its low light reflectivity which offers bath owners the ideal protection against finger prints and a pleasantly soft touch. Fenix NTM® owes these characteristics to the nanotechnology which allows thermal repair of micro scratches. To satisfy the maximum demand for individualism and design, the brand offers six color shades for the Fenix body. The fronts are either available in thermo-treated timber, porcelain stoneware, Hard Surface Technology (HST) décor panels or in many modern and natural color shades. HST fronts are ecological panels with a surface characterized by a pleasant wood effect of great visual quality whose surface is due to application of pressure and heat extremely robust, hygienic and resistant to scratches and chemicals. This collection furthermore offers fronts made from Fenix material for a holistic look. 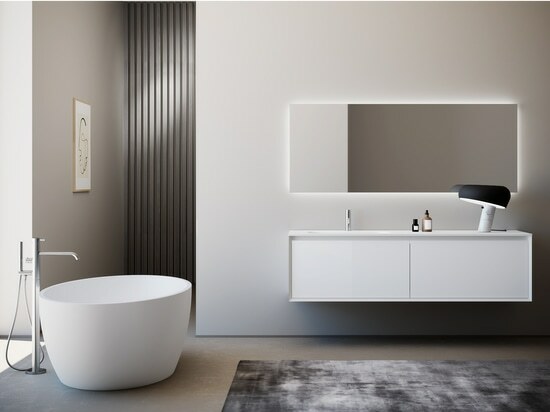 The heart of the collection ONE UP by VALLONE® is a body extending over all four sides, which just like with ONE by VALLONE® is inclined inwards at an angle of 45°. 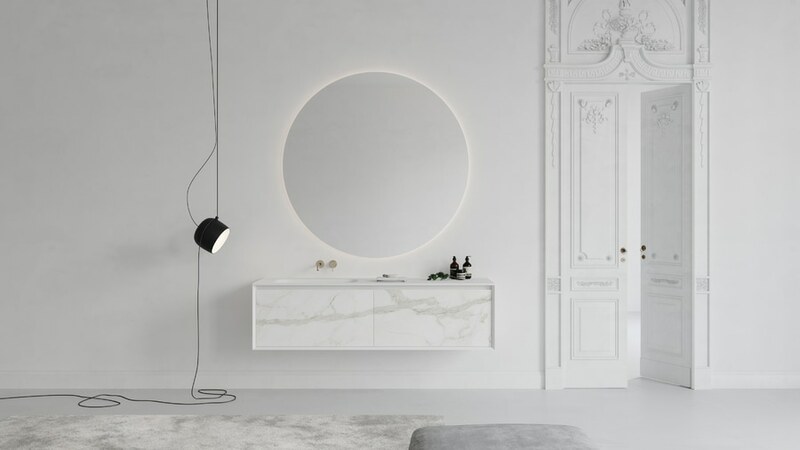 Its body is available either in natural oak or classic white matte. 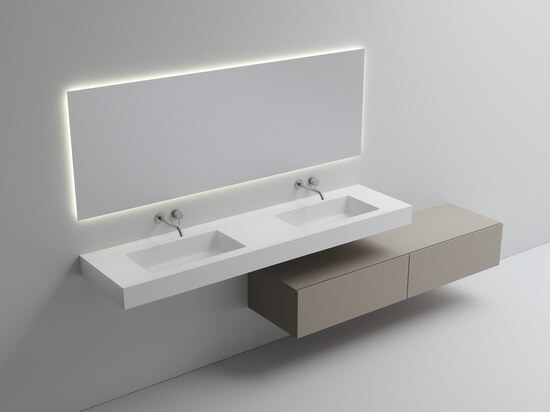 This collection's decisive characteristic is the possibility to choose between an integrated wash basin solution made from high-quality solid surface material or a combination of cover and top plate in white matt Velvet Stone mineral material. 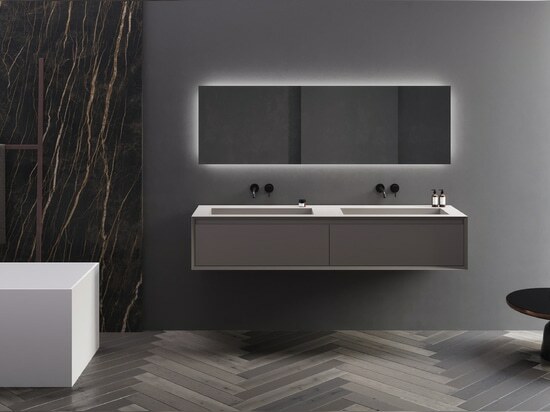 For the integrated solution as well as for cover plate there is the possibility to choose between a matt and glossy surface made from Mineralmarmo® or a thermo-formed top made from Corian®. 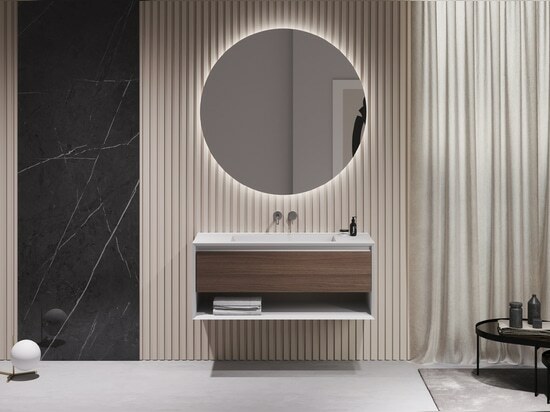 As well as with the collection ONE the highly qualitative fronts made from thermo-treated timber, porcelain stoneware, HST décor panels or in many modern and natural color shades offer greater scope for bath owners' individual tastes. 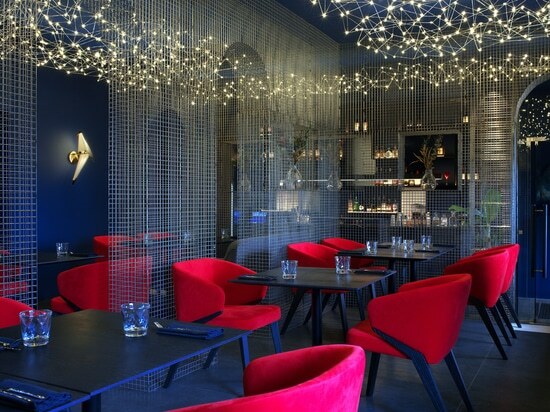 The entire collections are available in the VALLONE® E-Boutique. 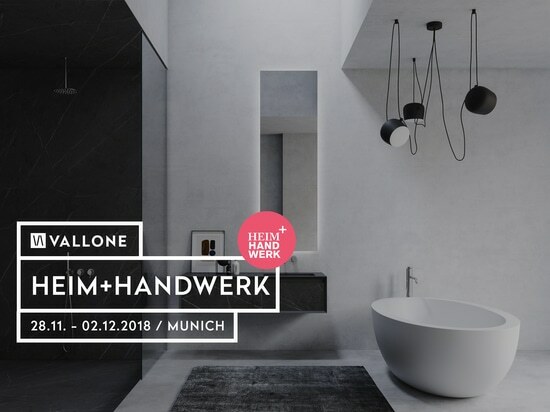 More information about the products under www.vallone.de.